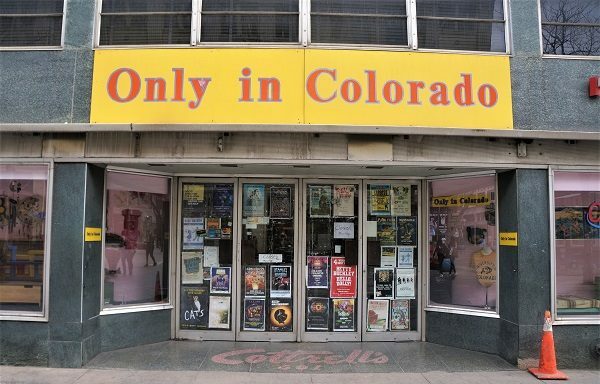 A large gift shop along the 16th Street Mall has closed. No one was at the store, and its phone number no longer worked. Only in Colorado — which sold the usual mix of Denver-branded apparel, mugs and novelties — was the sole tenant in the Cottrell building, which sits at the corner of 16th and Welton streets. Kin Yon LLC, managed by Evan Makovsky, purchased the approximately 19,000-square-foot building and the small parking lot behind it in August 2015 for a combined $6 million, according to property records. Makovsky told the Colorado Real Estate Journal later that year that he expected to ultimately raze the building. The Cottrell building is expected to be razed and eventually redeveloped. Online city records indicate a demolition period has been issued for the address, but no redevelopment plans have been submitted. Makovsky could not be reached for comment Friday. The building dates to 1927, according to records. 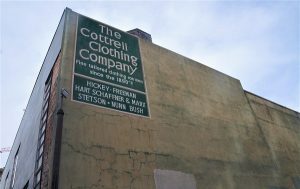 Clothing store Cottrell’s previously operated in the building, and its signage is still visible. Other closures within the last year along the 16th Street Mall include Payless ShoeSource, the Paramount Cafe and one of two Rite-Aids. Additions include outdoor retailer Montbell and deep dish chain Giordano’s. Reporter Libby Flood contributed to this story.